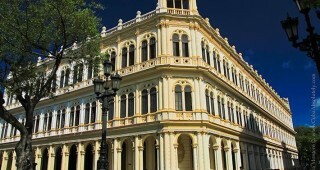 Paseo del Prado, popularly called ‘El Prado’ by Cubans (but officially, the post-revolutionary Paseo de Martí), was the first promenade to be built outside the city walls, which it paralleled. Completed in 1772, and sloping inland from the shorefront, it was built as a place for city dwellers to stroll, socialise and catch the sea breeze. 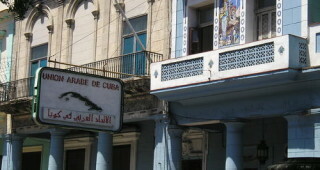 It quickly became popular with Havana’s bourgeoisie eager to show off their fashionable European gowns and suits. 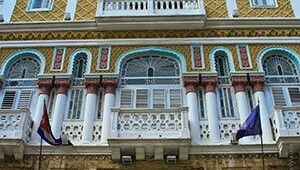 El Prado was remodelled in 1834, and prominent buildings sprang up along its sides, including many with Moorish inspired styling. By 1929, the bronze lions, lamp-posts and marble benches we see today had been introduced by French landscaper Jean-Claude Forestier. Yet it remains what it was conceived to be: the social hub of the city. 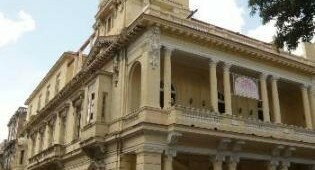 To visit Havana and not stroll the Prado would be like visiting Paris and not ascending the Eiffel Tower or tasting the wine. 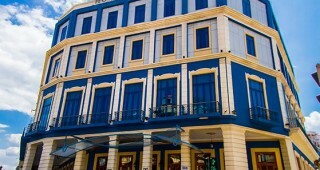 The Prado opens uphill to Parque Central, the main tourist hotel hub of Havana, as it was back in the day. Buzzing with energy, the park makes a logical and great starting point for any exploration: It’s the start and end pont for the HabanaBusTour sightseeing tours, is a major beginning and end point for colectivo taxis, and is ringed by some astonishing buildings, including the astonishingly adorned Baroque Gran Teatro. North of the theatre, and a looming presence, is the domed neoclassical Capitolio—Cuba’s former Congress building modelled on the U.S. Capitol, in Washington, D.C., yet even taller. 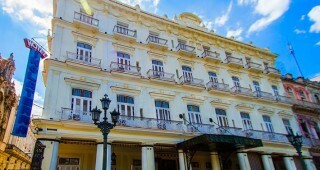 If you’re looking for an impressive view, check it out from the rooftop of the Hotel Parque Central or Hotel Saratoga. 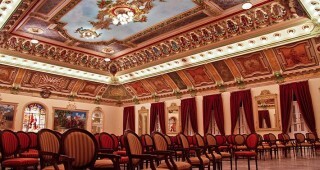 This is the venue of the Unión Árabe de Cuba, which represents around 50,000 Arab descendants from all over the country. 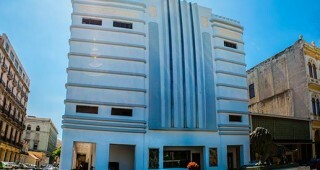 It has a small art gallery which features Arab-influenced art and ceramics.